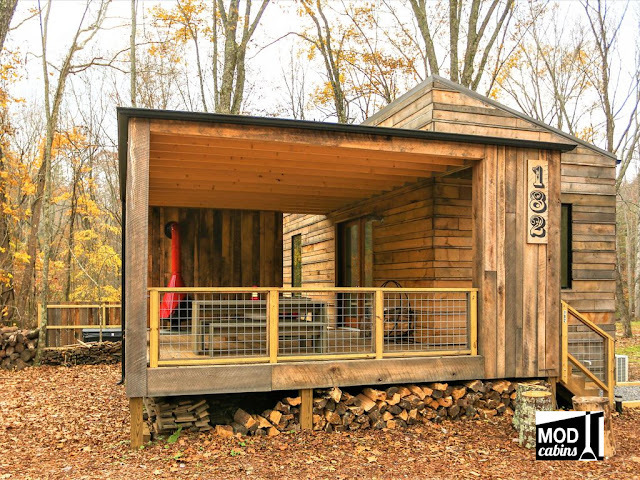 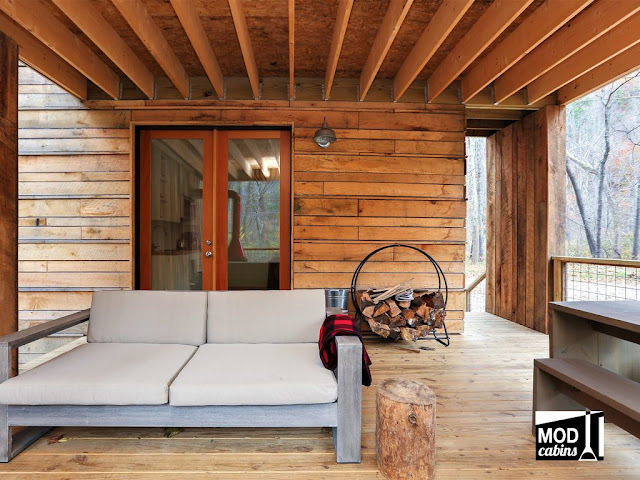 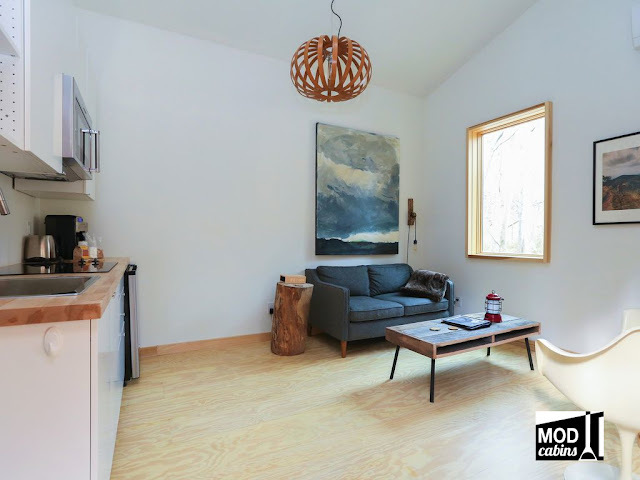 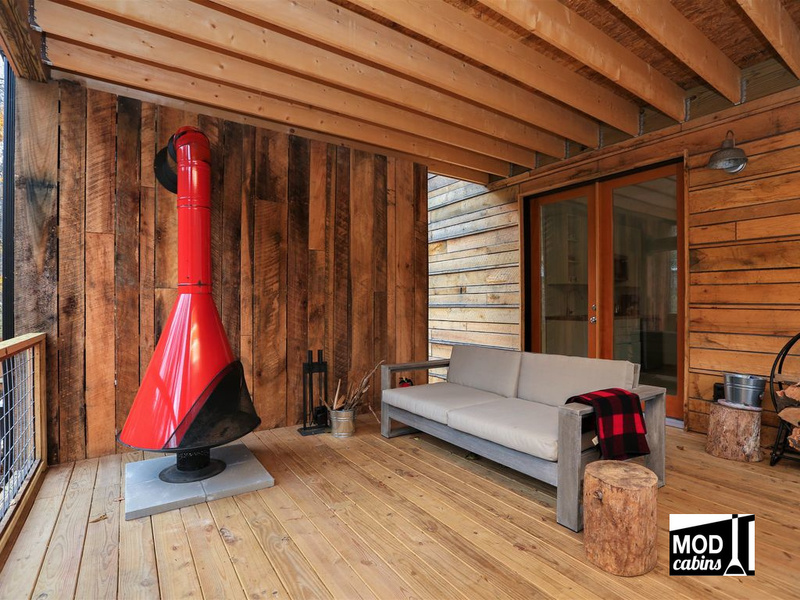 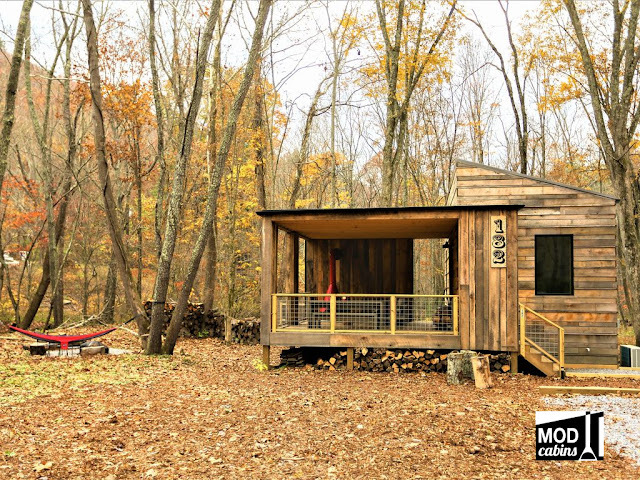 Have a look at this cozy cabin getaway, available from ModCabins, with just 330 sq ft of space! 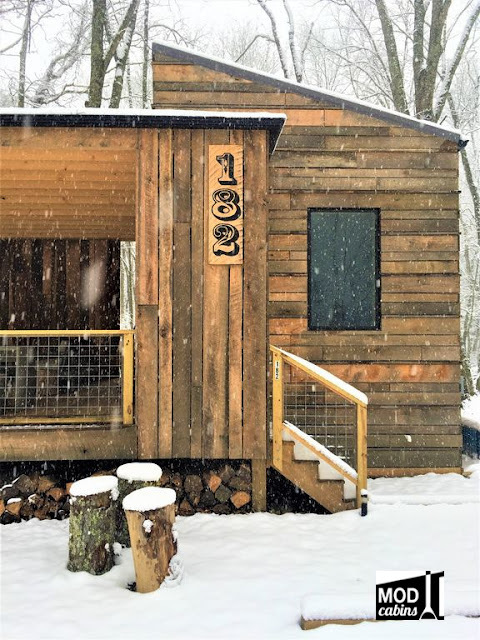 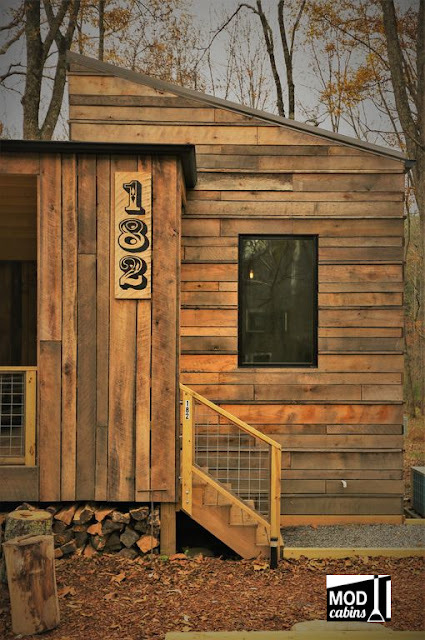 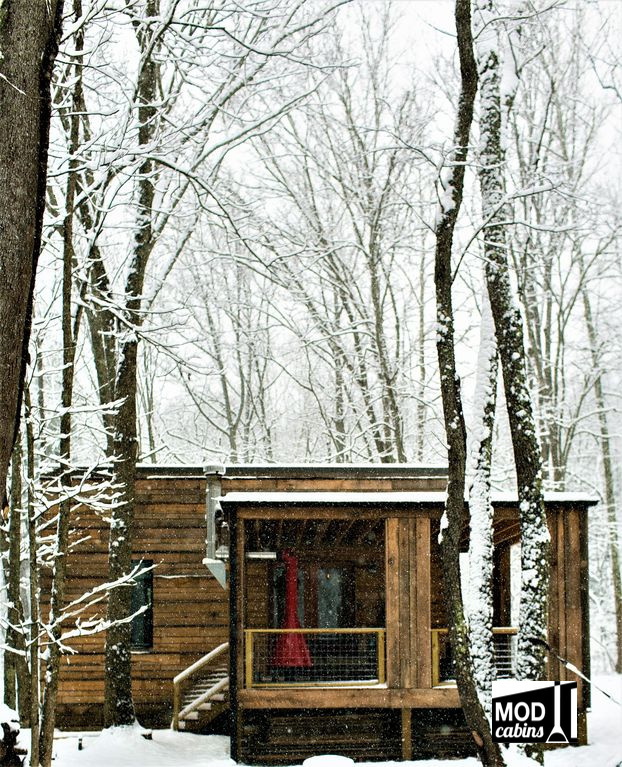 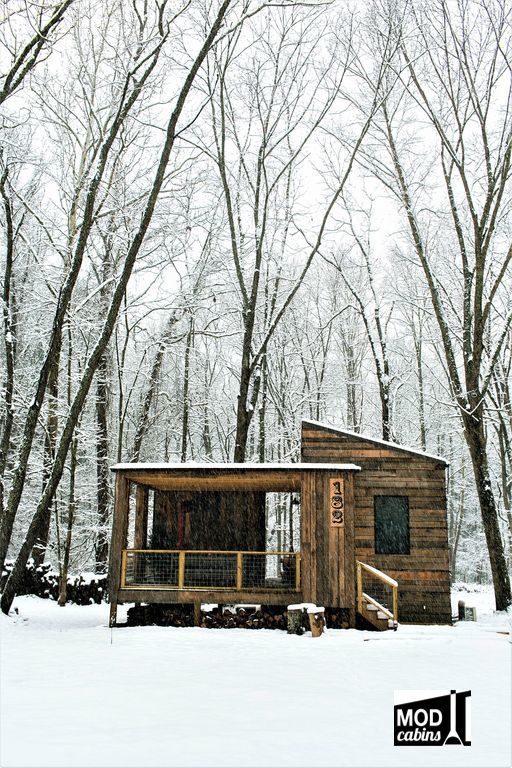 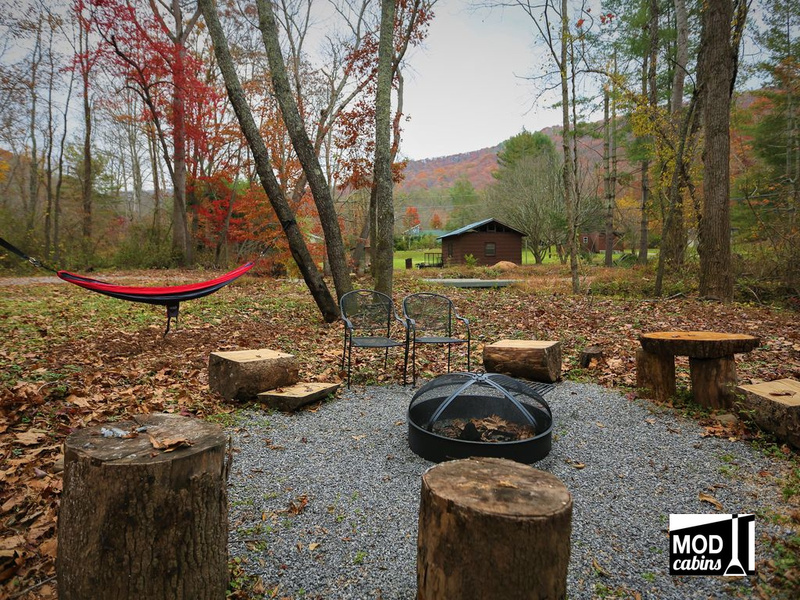 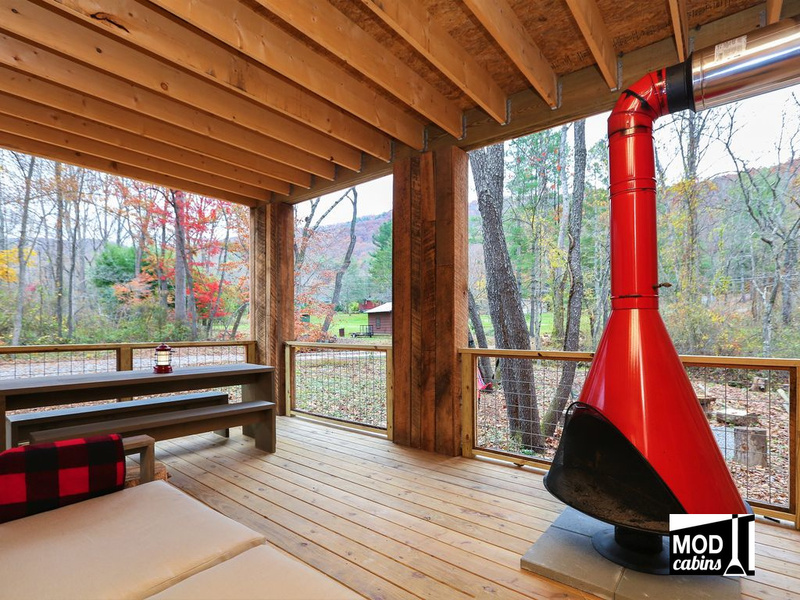 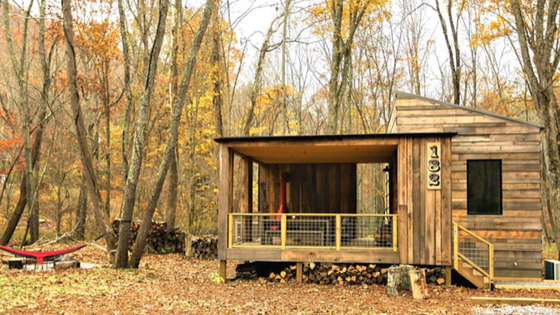 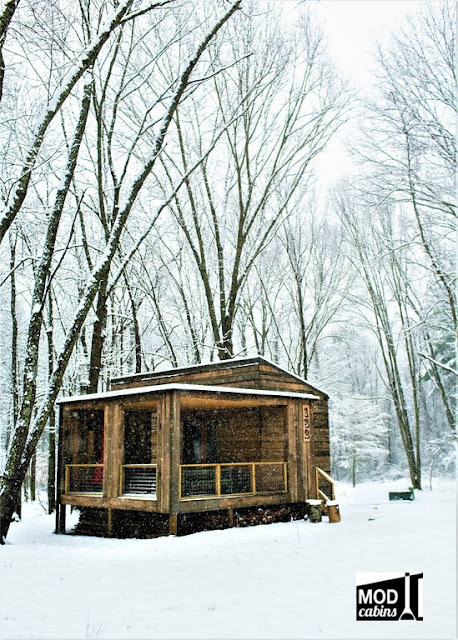 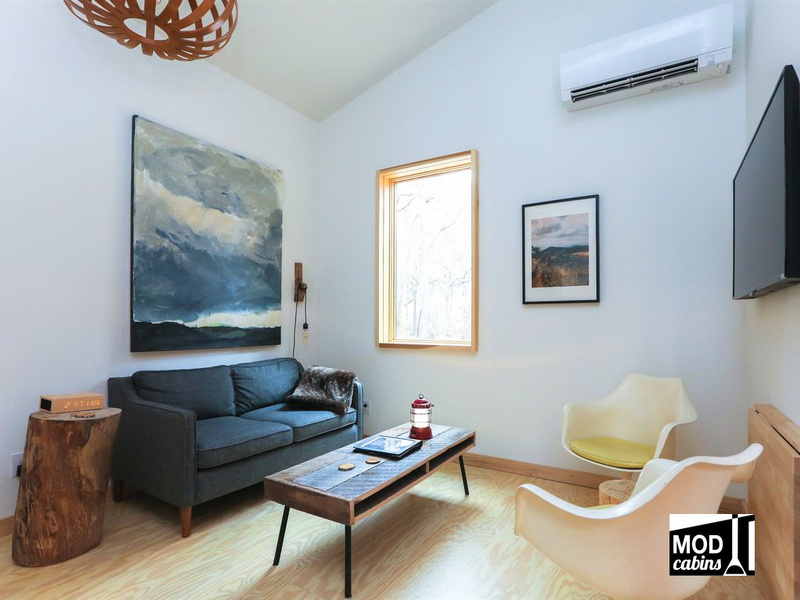 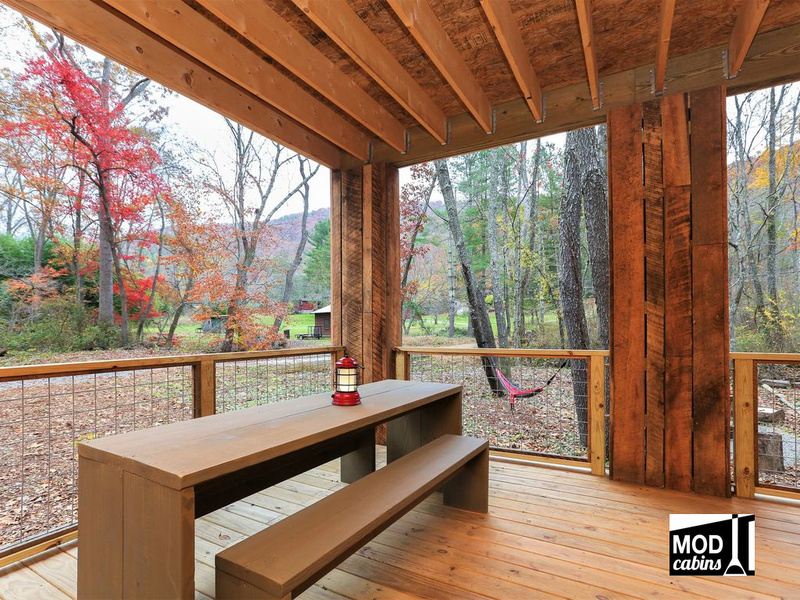 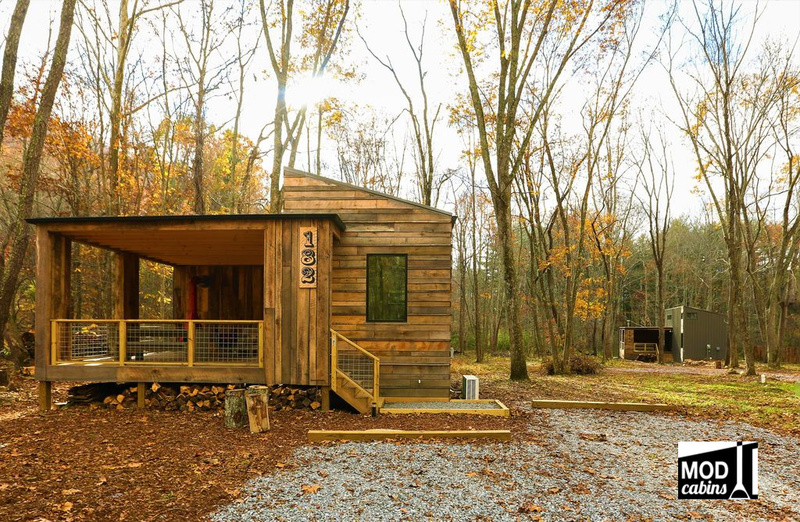 Located in Asheville, North Carolina, the cabin is nestled next to Shope Creek and surrounded by woods. 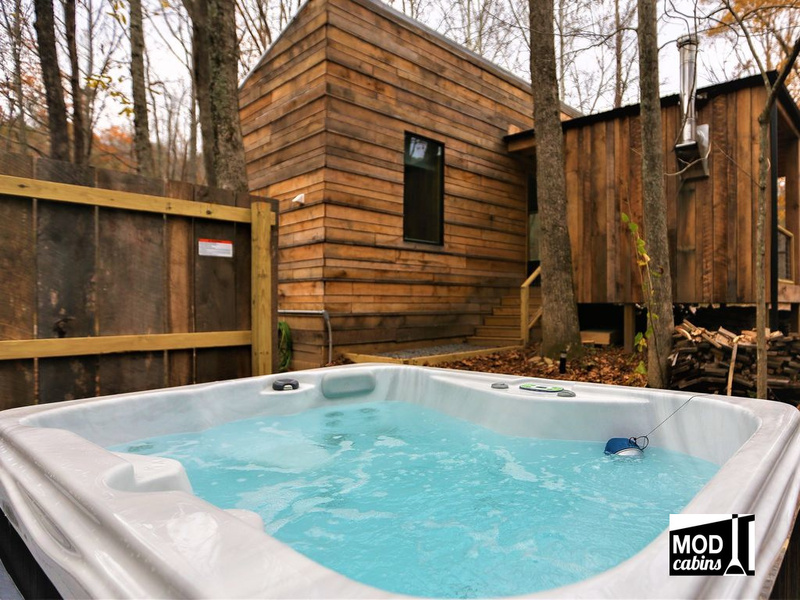 However, if you'd like to experience a vibrant nightlife as well, downtown is a quick ride away! 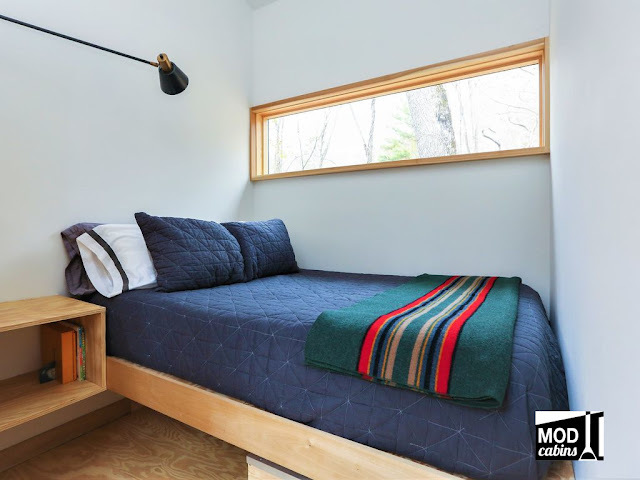 The interior of the Cabin Sweet Cabin features a master suite with. 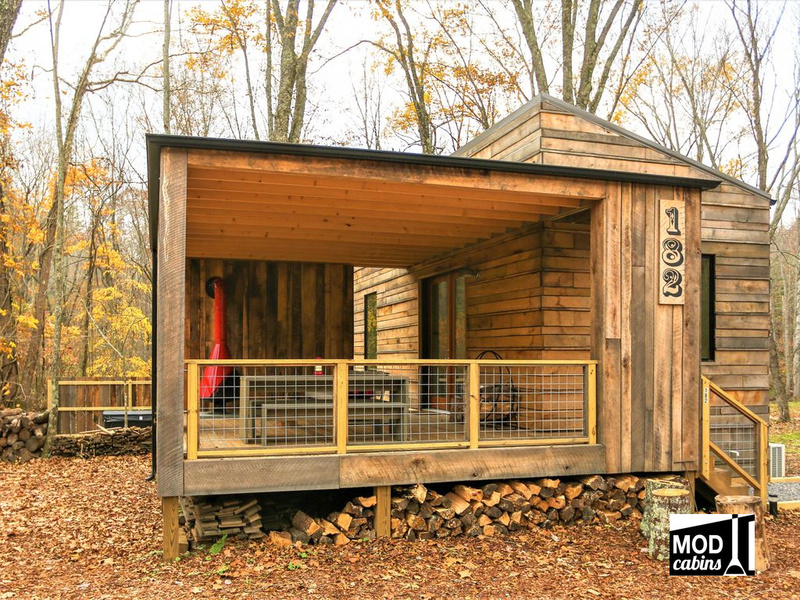 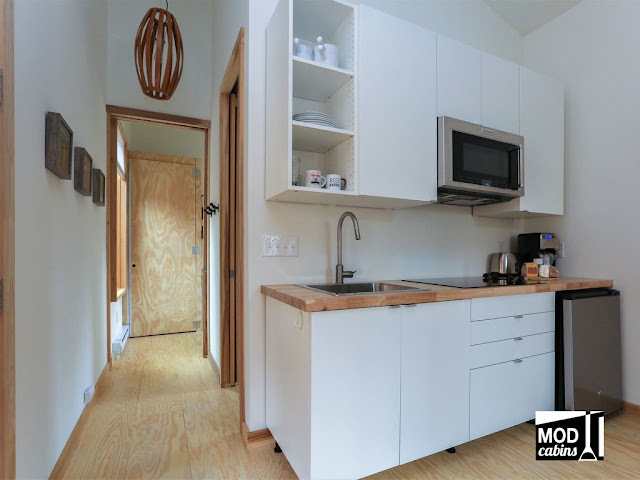 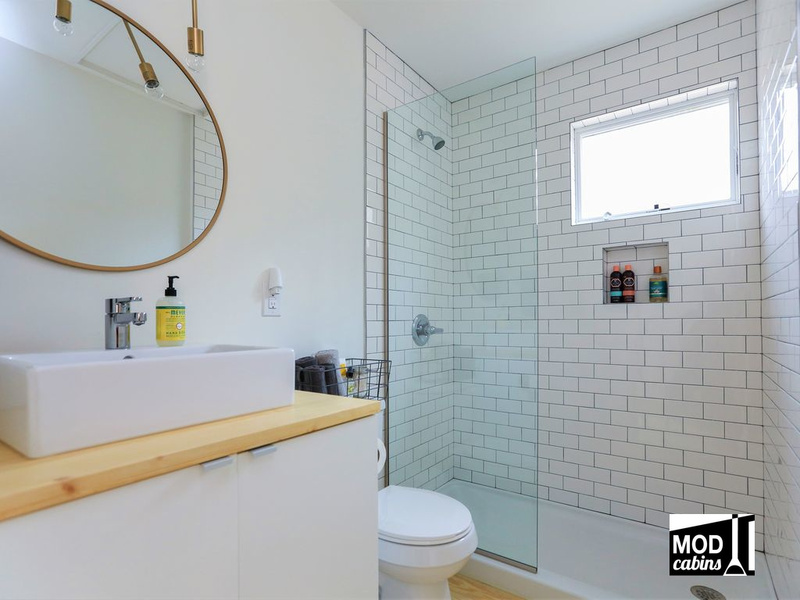 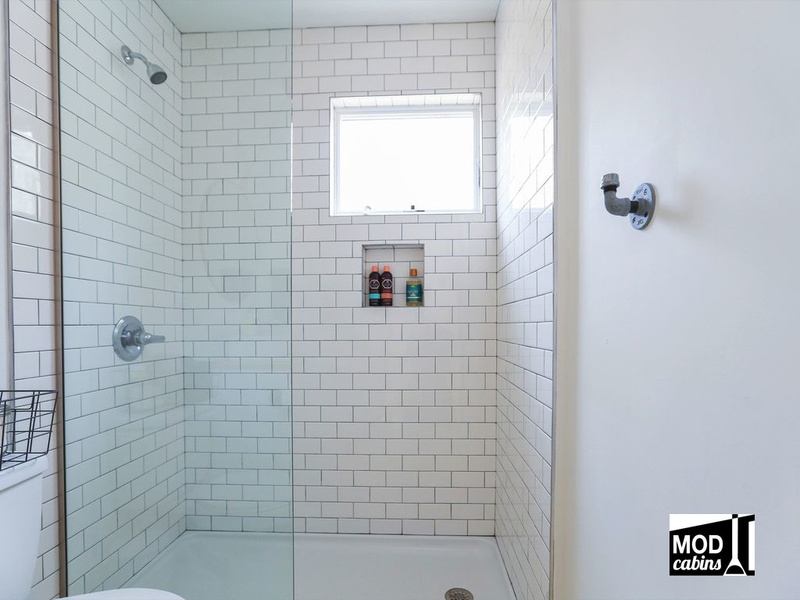 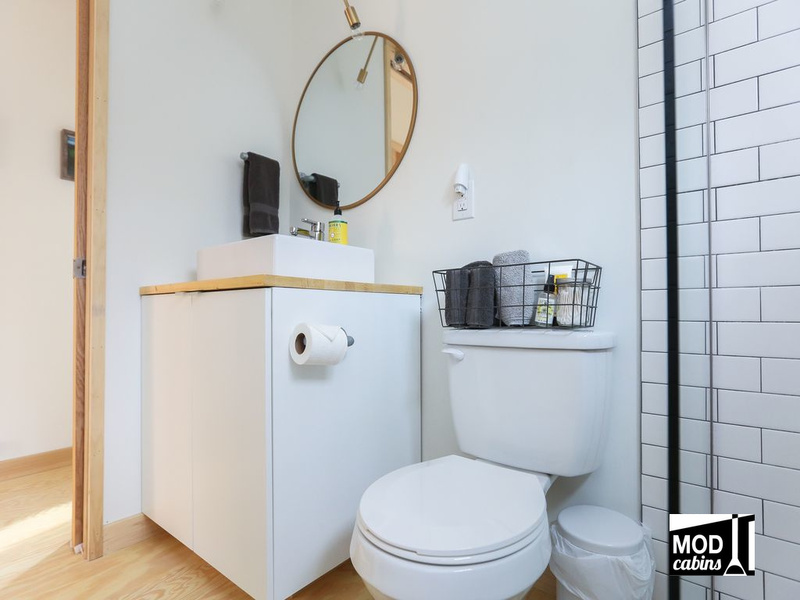 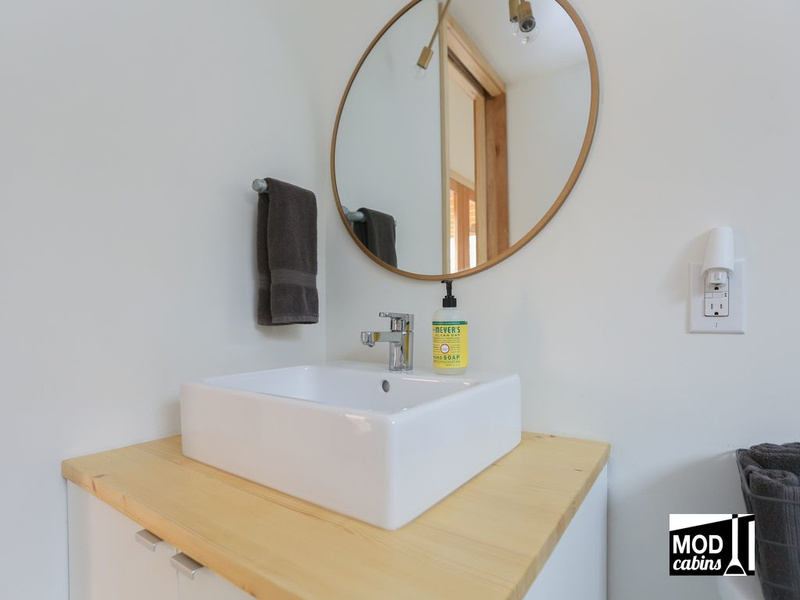 queen sized bed, a living room with a wood burning stove, a fully-equipped kitchen and a bathroom. It's a perfect getaway for a couple seeking a romantic getaway, and/or someone needed some alone time to relax and unwind! 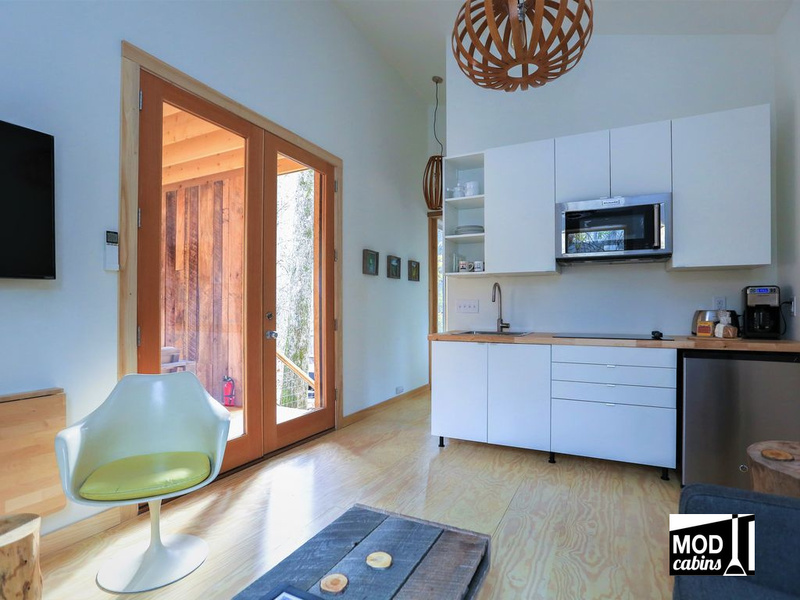 The home is available for booking here at $175 a night with a 2-3 night minimum.